The culture that we live in defines friendship in very technological terms – especially my generation. Popularity is based on likes on a Facebook post, instagram picture, or retweets. 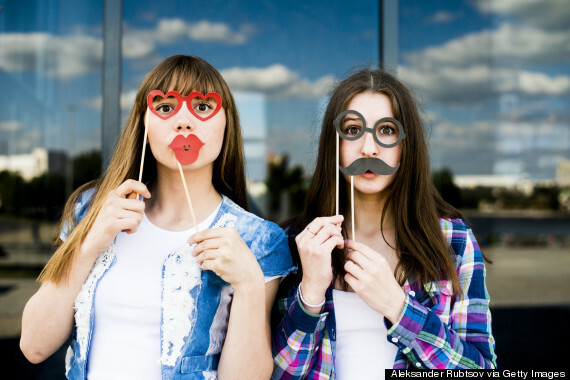 Is friendship more than the number on the side of your Facebook profile? I say yes – but it’s a little more sticky than that. Sometimes the only advice I was given in the formation of my friendship was “Well, to get a good friend, you have to be a good friend.” Which, granted, in middle school was what I needed to hear. But now, especially with college winding down to a close, what I want to define is what it means to be a “good” friend. What separates my acquaintances from my friends? My friends from my best friends? My best friends from my soul mate friends? Not all of my friends are Catholic, and not all of my friends are Christian – and that’s not a bad thing! I learn a lot simply from the different vantage points presented by each one of my friends. However, my close, core group of friends are cemented in the commonality of our faith. The mutuality that sparked each one of my best friendships can be directly pointed to our interaction with each through Christ. They are the girls that make me a better version of myself – who are constantly pushing me to grow in my relationship with myself, others and Christ – who is our biggest mutual friend. “A good man brings good things out of the good stored up in his heart, and an evil man brings evil things out of the evil stored up in his heart. For the mouth speaks what the heart is full of.” (Luke 6:45). There is nothing I love more than a good heart-to-heart with a close friend. A level of vulnerability, the ability to admit questions or struggles or even the simplicity of a meaningful and grounded conversation have the ability to strengthen a relationship. Subjects that are rough to discuss with others are normal fuel for conversation with my close, core friends. Believe me, I can’t even keep track of how many NFP, Theology of the Body and baby conversations I’ve had with my core friends. It’s in the hundreds. Those are the conversations that I walk away from feeling stronger in my friendships. This is not to discount fun, meaningless conversations over the superiority of pancakes in comparison to waffles. (Pancakes – all the way. Especially if you cook them mixed with coffee. Or Dr. Pepper). Or the excitement shared over little things like the newest movie to hit the theater or an adorable YouTube video. But don’t be afraid to dig deeper in your conversations with your core friends and show what is on your heart. There are sometimes when I talk to my core friends that their answer is something along the lines of “you need to be easier on yourself.’ However, there are also times when the line used is “You’re being too easy on yourself.” It’s an equal balance, but it’s also the ability of an outside source to look at a situation and offer an objective opinion on how to handle it. It is always easier for me to go to the gym when my little sister knows about my goals. “Oh, Chloe, it’s Tuesday and you said you were going to go to the gym on Tuesday mornings” is what I need to hear in order to drag myself out of bed and onto the treadmill. But without her knowledge of my goals, she couldn’t push me. Don’t be afraid to let your core group of friends in on your goals. They won’t know what you’re striving for unless you tell them. And you may be surprised – a lot of your friends may be striving for the same goal. “But he said to me, ‘My grace is sufficient for you, for my power is made perfect in weakness.’ Therefore I will boast all the more gladly of my weaknesses, so that the power of Christ may rest upon me. For the sake of Christ, then, I am content with weaknesses, insults, hardships, persecutions and calamities. For when I am weak, then I am strong.” (2 Corinthians 12:9-10). A core friend does not come help you hold up your mask because the weight is to heavy for you to bear alone. Instead, a true core friend comes and helps you put the mask on the ground and walk away from it. There is no need to be ‘perfect’ and true friend will push you (accountability!) to not put the mask back on when suffering arises again in your life. Friends are people who have seen you at your absolute worst and your absolute best and will still love you not for the sum of your weakness but because of the Father’s love for you as His child. There is something incredibly beautiful about suffering. The Catholic viewpoint on suffering is radical in and of itself – we believe that suffering grants us an opportunity to unite with Christ on the cross and lessen the burden for others. There is a beauty that is brought about from the ashes and a sense of peace in the middle of a storm. Suffering binds us to the cross – but that doesn’t mean that we have to carry the cross on our own. Not all of us suffer well – believe me, I’m included in that group. Some deny the suffering they are experiencing, some mask it with ‘joy’ whenever they are around others, yet carry a burden in silence and solitude. Others snap under the burden and lash out in the anger pent up inside. Yet a friend who not only suffers with grace but pushes you towards that same mentality is priceless. 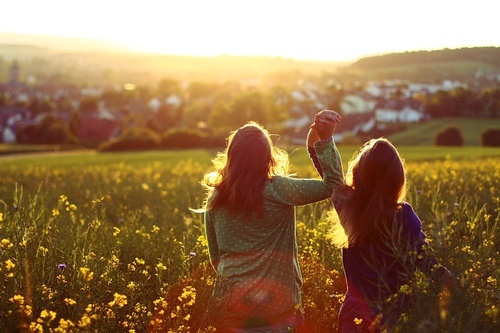 A friend who suffers alongside you makes all the difference in the world. And that, my friends, is all I have. So, find your core group that pushes you to be the best version of yourself (#MatthewKelly) and let’s get each other to Heaven. Keep striving, keep building your friendship circles and be not afraid.